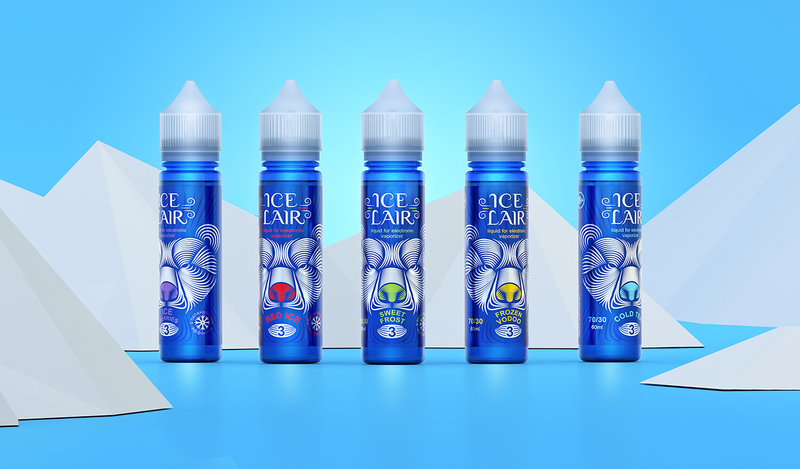 The task: To develop a naming, logo and label design for liquids for electronic cigarettes. 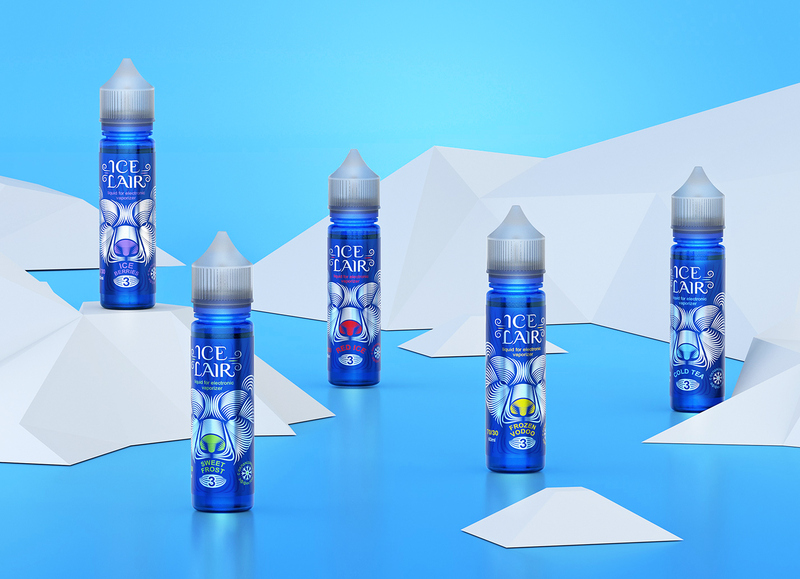 The key feature of the product is the cooling effect. 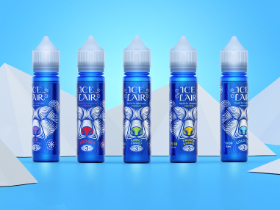 The product is intended mostly for export to China and CIS countries. 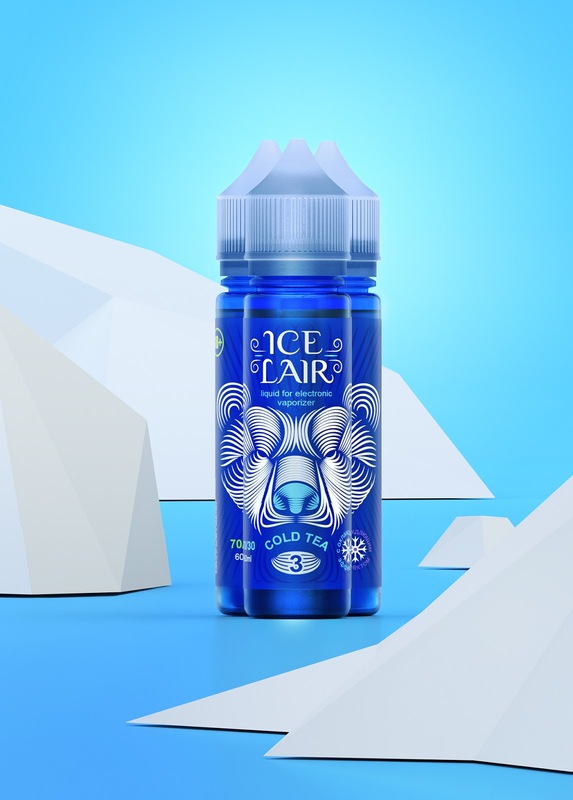 The solution: Highlighting the two key features of the product, the cooling effect and the destination for export - I used the image of a bear as a symbol of Russia, portraying it as a frosty pattern on the glass, which refers us to the cooling effect of the product as well as to the harsh Russian winter. 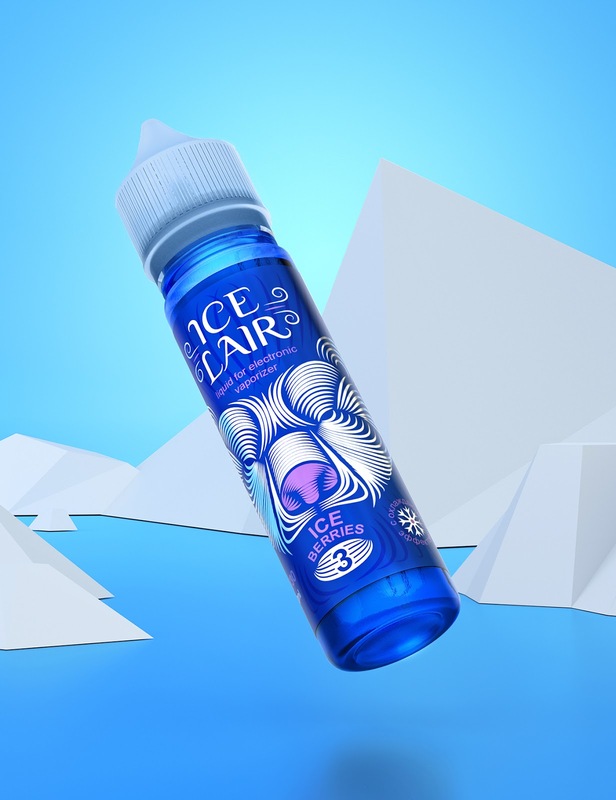 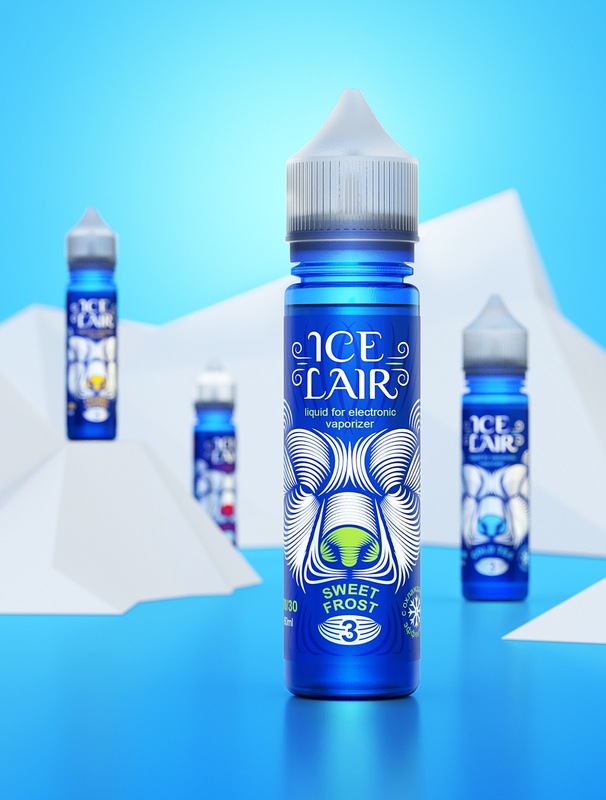 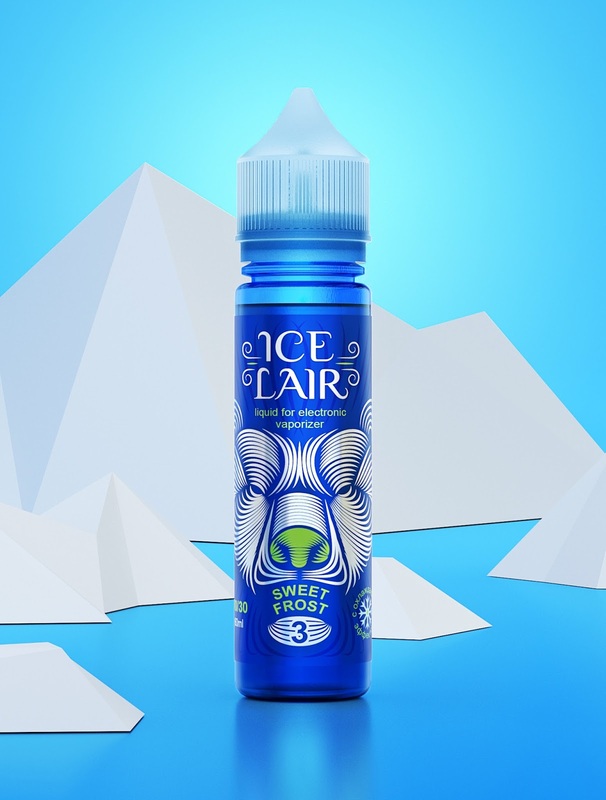 Naming - "Ice Lair" also emphasizes the feature and complements the image of the product.